You may not know it, but if you’ve traveled on an aircraft there’s a good chance that you were propelled, safely and competently, by a General Electric CF-6 turbofan engine. It first flew in 1970 and is still going strong today. Originally built for the US military’s collosal Lockheed C5 Galaxy cargo aircraft (which used four), and known as the T39, General Electric built the CF-6-6 to power the Lockheed L-1011 “Tristar” and McDonnell Douglas DC-10 widebody commercial airliners. The CF-6-6 was a more efficient and more powerful version than the T39 was; the military usually doesn’t care quite so much about their fuel bills as the airlines do. The Tristar then opted for the Rolls-Royce RB211 turbofan instead (an incredible engine seen most often pushing Boeing 757s into the skies and delivering a unique, orchestral, buzzsaw sound when at high power) so the DC-10 became the original customer, entering service in 1971. In 1974, the then-new Airbus A300B2-1A was powered by a new variant of the CF-6 known as the CF-6-50. In 1975, KLM ordered Boeing 747s with CF-6-50 powerplants. In 1982, the Boeing 767 entered service with the next iteration of the engine, the CF-6-80A. This engine was ETOPS certified, allowing for extended-range journeys away from suitable airports when the aircraft was fitted with only two engines. In 1983, the similarly-sized Airbus A310 entered service with the same CF-6-80A engine. The CF6-80-C2 first flew in commercial service in October 1985 after some scary failures of the -80A engine, which had left some Boeing 767s in the scrapyard. The -80-C2 is currently flying on 747s, MD-11s, A300s, A310s, Boeing 767s and the C-5M Super Galaxy military cargo aircraft. 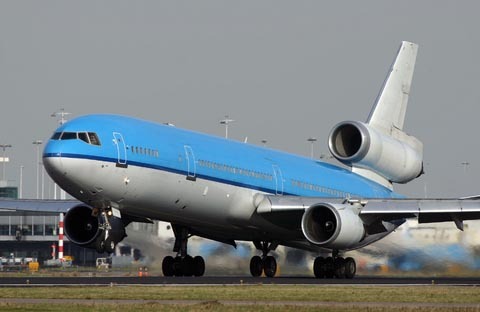 KLM Royal Dutch Airline McDonnell Douglas MD-11. The last airline to use the MD-11 in passenger service. In 1987, Airbus launched the Airbus A330 project. This aircraft was offered with three different types of engine, one from each of GE, Rolls Royce and Pratt & Whitney. The GE engine offered was an evolution of the CF-6-80 called the CF-6-80C2. Air Force One (Boeing VC-25) with General Electric CF-6-80C2 engines. * Yes, I know Air Force One is only a callsign and there are actually two VC-25s (28000, and 29000), stop being so pedantic. Information is leaking out about a new social network called “SOCL”. What makes it different from the other bazillion social networks that are starting up, perhaps trying to cut into Facebook’s commercial success, is that is appears to be Microsoft’s own internal, corporate, social network. And it may be soon unleashed on the general public. It is said to come from Microsoft’s Fuse Labs. and first surfaced back in July. J.B. at Fusible spotted that Microsoft had bought the domain “socl.com” but it showed a service called Tulalip, a social networking integration site, which let you log in via Facebook and Twitter. It claimed, “with Tulalip you can Find what you need and Share what you know easier than ever”. Socl.com is currently showing a 404 error, but a quick DNS Lookup shows it is active, and pointing towards Microsoft’s DNS servers. Surely between Twitter, and Facebook, and MySpace (to a lesser degree…) there aren’t any niches left, or at least there aren’t any niches big enough to warrant a big commercial venture to try and fill…? Tech blog, The Verge, got a sneak peek at SOCL and called it a mix of “search, discovery, and, go figure, a social network”. 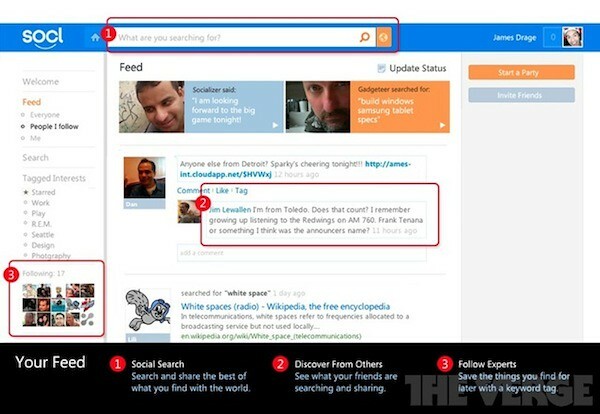 It turns searching with Bing into a social experience, instead of statuses the system uses your search terms to alert your friends what is on your mind. Mashable‘s Pete Cashmore recently said on CNN, that the real power of Google+ is the ability to “+1” a webpage. That little now-ubiquitous button (even on this very site!) is giving Google enormous amounts of statistical information about what you really “like” and what is truly relevant to you. And by “relevant”, I mean what you really care about. That information is directly translatable into targeted advertising which is Google’s bread and butter. If you like my website, expect to see the number of adverts you see about aircraft, technology and cars rise slightly. SOCL could be Microsoft’s first steps into a similar initiative to tune its search-and-advertising algorithms, which it could do on a person-by-person basis if searching (with Bing) became the central part of the social network experience, instead of statuses. It will be interesting how Microsoft goes forward with the site. Rumours say it will start like Google+, with an invite-only beta. However, as Microsoft and Facebook are partners, I wouldn’t be surprised if this is actually a tech demo to wow some people in Mark Zuckerberg’s digital fortress and show that putting Bing behind Facebook search wouldn’t just improve finding your long-lost Auntie, but also could be used to improve and augment the entire social experience. Microsoft have done enough to impress and tease, the ball is in Zuck’s court, but if history is anything to go by, Microsoft rarely knows when to quit. 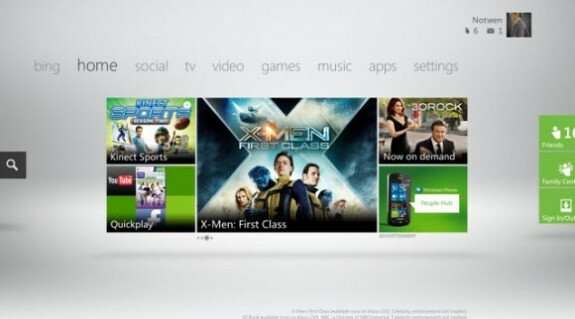 Microsoft will begin rolling out a new dashboard for its Xbox 360 games console from 6th December. Apparently based on the forthcoming Windows 8 “Metro” user interface (UI) theme, the dashboard allows horizontal scrolling between “groups” of “tiles”, to use Microsoft parlance. 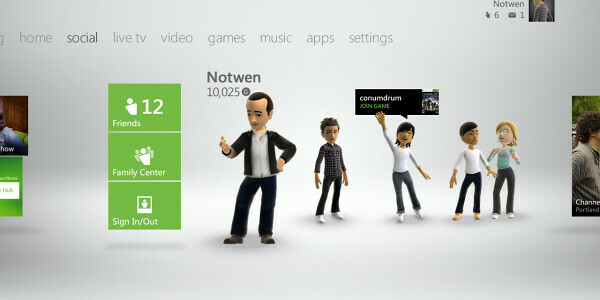 Taking the metaphor one step further, the Xbox 360 dashboard will also support more advanced things placed into each group, such as your 3D, animated avatar. “Beacons” will let you tell your friends that you want to play a game and they are welcome to drop in. No more having to invite everyone you know to games, it’s a passive thing. At noon today, Monday 21st November, 2011, British charter airline, Astraeus, famous for having ex-Iron Maiden front-man, Bruce Dickinson, as Marketing Director and a Captain on their 757 fleet, grounded their fleet and called in the receivers. I shot the picture to the right at 6:30am on Sunday 28th August 2011, I was stepping off the the bottom stair from a First Choice 767-300ER that had just crossed the Atlantic from the Dominican Republic. An 8 & 1/2 hour journey that felt more like a rollercoaster than a gentle cruise in the flight levels. It was also the end of my honeymoon in the Caribbean. 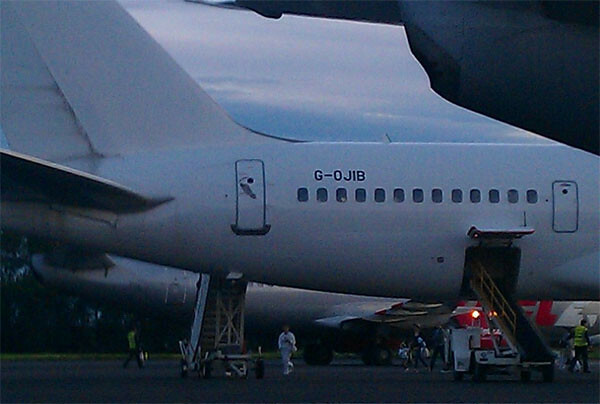 What softened the blow of the end of three weeks of surreality (first the wedding, then a crazy, drunken honeymoon) was seeing Boeing 757-200 G-OJIB sitting at a remote stand at Newcastle International Airport. This aircraft was “Ed Force One” for Iron Maiden’s 2008 around-the-world tour, filmed for the DVD, Flight 666. Sadly, now, the Crawley, Sussex-based airline has ended operations. 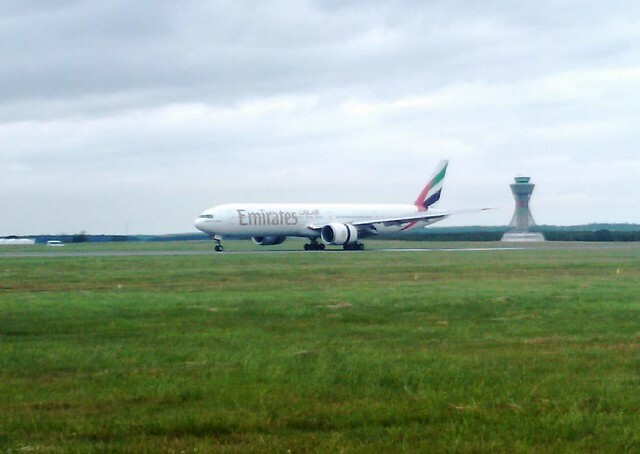 Bruce Dickinson commanded the last flight, from Jeddah in Saudi Arabia to Manchester, England, today. Chief Executive, Hugh Parry, blamed “lower than expected business” and “extremely bad luck” pertaining to some technical issues the fleet had recently sustained for the closure. Astraeus owns two Boeing 737-300s, one 737-500, two 737-700s and four 757-200s, a respectable fleet size of 9. Aircraft G-OJIB was also Iron Maiden’s tour jet in 2009, with sister 757 G-STRX taking over for the Final Frontier tour in 2011. You can view pictures of Astreus’s aircraft on Airliners.net. I had an enlightening discussion this week with a guy who works on the same product as I do. He is a tad older, wiser and more reflective, so when he said had identified a cycle in human history, I was all ears. Mike, who once designed a mechanism for recycling toxic waste into fuel and toothpaste by accelerating it supersonically, began by looking at unemployment figures. “Unemployment is now at its highest for 20 years,” he began, pointing out that the current crisis sounds like the biggest catastrophe to ever befall humanity, but it’s just that the media focus is far greater and more invasive in our lives that it seems like a bigger deal. “The nationalised industries that failed in the 70s were formed as part of a radical post-war programme of the 50s and 60s where the people that won the war realised that they were being exploited by plutocrats who were not shot at or blown to bits during the war. It was only 20 years later that they were seen as outdated dinosaurs. This played out as a violent revolution in some countries (Cuba, Vietnam, China) and as a more constitutional revolution in most of Europe. “The traditional nationalised industries of the 70s that had kept people in jobs were shrinking and people were forced to be more creative. This generated lots of new enterprises and was the genesis of the massive growth in the financial services industry. I was born in the mid-80s, so I’d be lying if I could remember those bad times personally, but I’m inclined to believe and respect Mike’s opinions on how they are similar. So let’s extrapolate this a bit to see how all of this StuffThatHasAlreadyHappened is even worth thinking about today. The drivers of previous economic meltdowns were the collapse of large, established, respected businesses that suddenly lost the ability to sustain themselves. For whatever reason. The banks, for example, were let down by improper accounting practices that allowed money to go out that was never going to come back, but was still on the Balance Sheet as an asset. The steel and coal industries of yesteryear were obliterated by cheap offshoring and a reduction in demand thanks to synthetic materials and a boom in plastic production. The new businesses that are the economic stars are web-based businesses such as Facebook, Twitter, Google, Netflix (already suffered death-throes this year, only to recover), Amazon, etc. Millions of businesses rely on Google Adwords for advertising, and millions of content publishers rely on Adsense to make a living. Same goes for Facebook’s ad machine. Amazon’s Marketplace and Associates programme are buoying a similarly large number of organisations. In “the olden days”, when a business died, it would typically take its supply chain with it. Steel businesses would also take down their shipping and sales partners. Banks died and took most of their financial partners with them. The next generation “supply chains” are all about online services. Say Google and Amazon went dark tomorrow. They became no more. That would put a huge number of people out of work that the benefits system wouldn’t be able to support them all. Stock analysts would quiver at the sudden loss of confidence in “large, established, respected” IT stocks dropping to zero, a selling spree would signal the deaths of all the other post-IPO IT businesses. (I think Apple would be a special case in that scenario. It has a nicely diversified portfolio of hardware, software and also services (iTunes, iCloud), which should prevent it from being easily pigeonholed and tarred with the same brushes as these web-only organisations). Call of Duty: Modern Warfare 3 is a phenomenal commercial success. It has broken all the sales records that were so confidently smashed by its predecessor, Black Ops. An important part of the game is “perks”. Perks improve your performance by making your less susceptible to attack or improving your ability to attack others. This week I got an email from somebody calling themselves: . Which was a little weird. Our analogue Sky box had started to play up in late July, early August. I remember this vividly because I was still at school and I had spent all year looking forward to wasting my six-weeks-holiday watching every episode of Quantum Leap on The Sci Fi Channel and Clarissa Explains it All on Nickelodeon. (Ah, Melissa Joan Hart, how many teenage hours did I waste yearning to climb a ladder into your bedroom window…). Instead, I was forced to watch the monotony of a a blue screen while garbled audio played behind. My Dad took it into town to an “independent electrical specialist” who gave him some very odd advice. Dubai-based airline, Emirates, have placed an order for 50 Boeing 777-300ER aircraft at the Dubai Airshow (#DXB11). It is Boeing’s largest single order to date with a value (at list prices) of over $18 billion. This week Boeing started production of the 1,000th 777 wide-body twin-jet, which is also destined for the middle-eastern carrier who is the largest customer for the 777. Emirates currently has 94 examples of the type in its fleet and is waiting on 41 unfulfilled orders, this order will bring the 777 fleet to 185. This order also breaks the record for the most 777s ordered in a single year, 182 for 2011, compared to the previous record of 154 back in 2005. Emirates contributed to that record too; at the Dubai Airshow in 2005 they placed an order for 42 777s. 5 years later the airline ordered 30 more at the 2010 Farnborough Airshow . Dubai-based Emirates already has a very impressive order list including a firm commitment to 90 Airbus A380 “superjumbo” airliners, of which 17 have been delivered. The airline has also ordered 70 examples of Airbus’s new “Extra Widebody” A350s. Emirates has their home base at the new Al Maktoum International Airport in Dubai, which currently has a single runway but four more are planned. It is hoped that the airport has enough capacity for all of these large, long-haul widebody aircraft, now and as Emirates grows further.